“Heart of Luna” was presented in Luna Park Melbourne in 2017 as part of our “Voyages” project. Appearing as an odd coin-operated penny arcade, this sculpture provides a surreal intimate mechanical performance encapsulating early 20th century carnival/freak show madness. 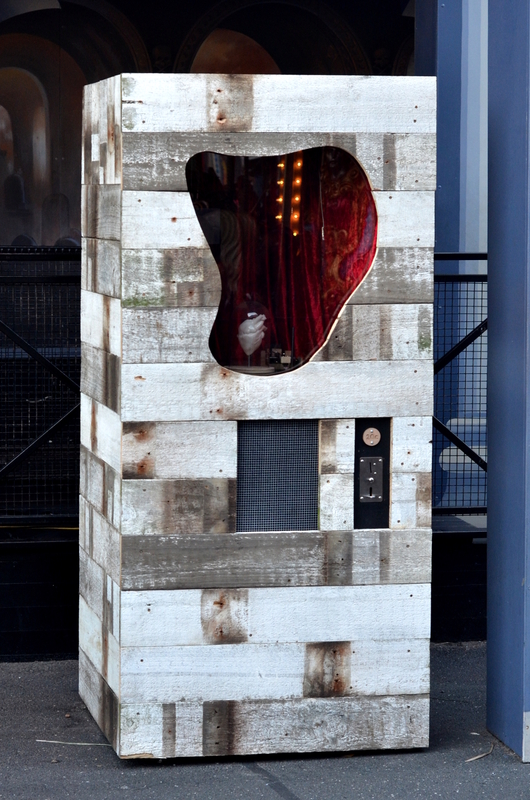 Built from roller coaster wood from Luna Park Melbourne, including sound from old Luna Park announcement records, a surreal video show accompanies the rotation of the spinning record. Insert 20c for a strange coin operated adventure like no other.